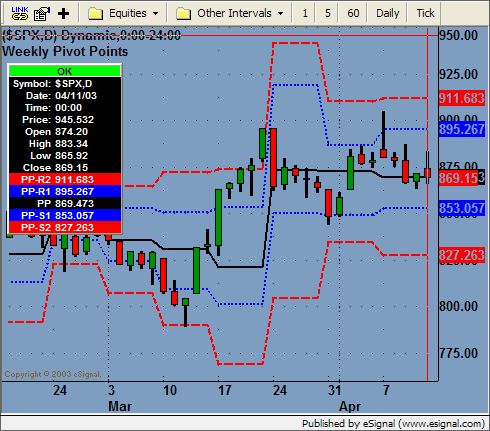 Plots Weekly Pivot Points and may be used with intra-day or Daily intervals. // whole number of weeks. // vs. first bar of current week.